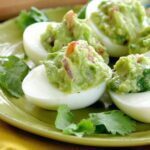 Guacamole Stuffed Deviled Eggs will be the hit of your next party, especially if your guests are eating low-carb, gluten-free or ketogenic. 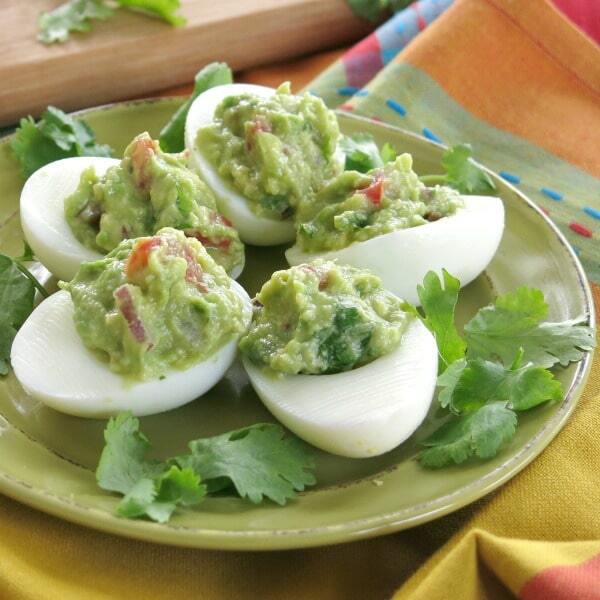 We love simple guacamole dip so much that we stuffed hard boiled eggs with it. It’s the perfect healthy appetizer for parties, Easter or just snacking on the weekends. Make extra guacamole so you can enjoy Guacamole Stuffed Mushrooms too! Aren’t they gorgeous? Creamy and no mayonnaise required! I’m not even sure this is a full-fledge recipe, but it’s definitely a tasty idea that is very easy to do. Make hard boiled eggs. Or buy them! 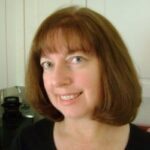 Check out How to Make the Perfect Hard Boil Eggs by Simply Recipes if you need tips for making them. Cut them in half and remove the yolks. Make One Avocado Guacamole. Or buy some! Mix 1-2 yolks into the dip for a protein boost or use them for another purpose. Fill each egg half with guacamole. Eggs can be hard boiled a few days in advance and halved the day before. Make guacamole the same day and cover it with a thin layer of lemon juice. Place a piece of plastic wrap on top of the guacamole, touching the surface. If a brown spot happens to appear, just spoon it away when it’s time to stuff the eggs. The recipe below provides the ingredients for a small batch of guacamole. But, we highly recommend you make extra for chips, Cajun shrimp guacamole and such. This video is for a full-size batch! Cut avocado in half, remove pit and scoop pulp into a small bowl. Combine avocado pulp, lemon juice, salt, red onion and tomato in the bowl. Cut hard boiled eggs in half. 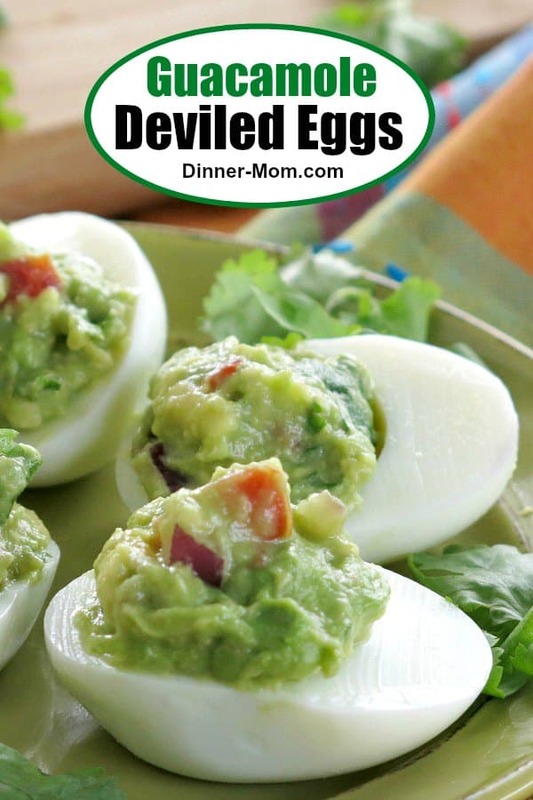 Reserve yolks for another use or crumble and mix the yolks of two eggs into the guacamole. Scoop guacamole into the open cavity in each egg half. Enjoy! Guacamole and eggs are two of my favorite foods of all-time, so guacamole IN eggs is pretty much the best thing ever. Yum times a million!! I feel the same way! I eat these year round! I have never seen this before, what a great idea!